H&M Top: Denim (really old): DIY Sneakers: Vogue Sunglasses: MK Watch: Jewelry – Dubai, NY Vendor, macys. I am loving both your ensembles!!! Thw skirt is amazing...goes very well with the striped pink shirt. 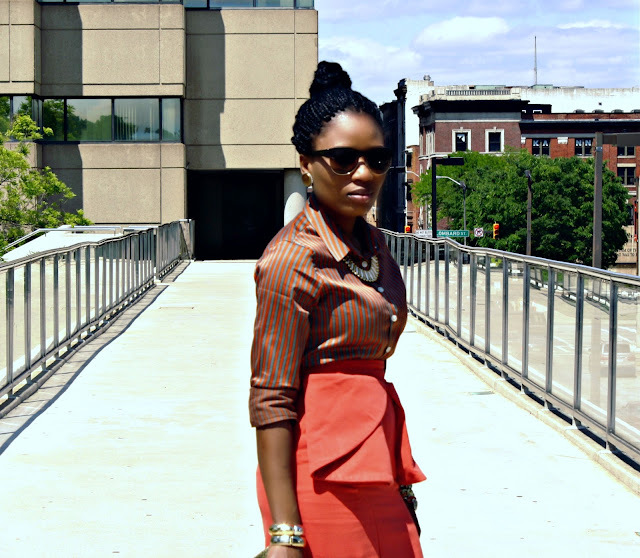 And the peplum shirt is lovely...i have one Im trying to wear soon! Great looks as always. beautiful! 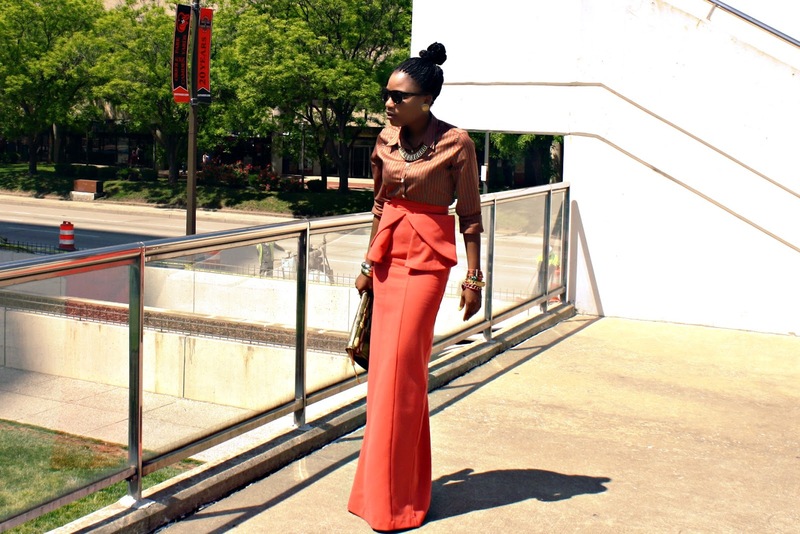 love the peplum and the accessoires, and loooove the orange maxi skirt! 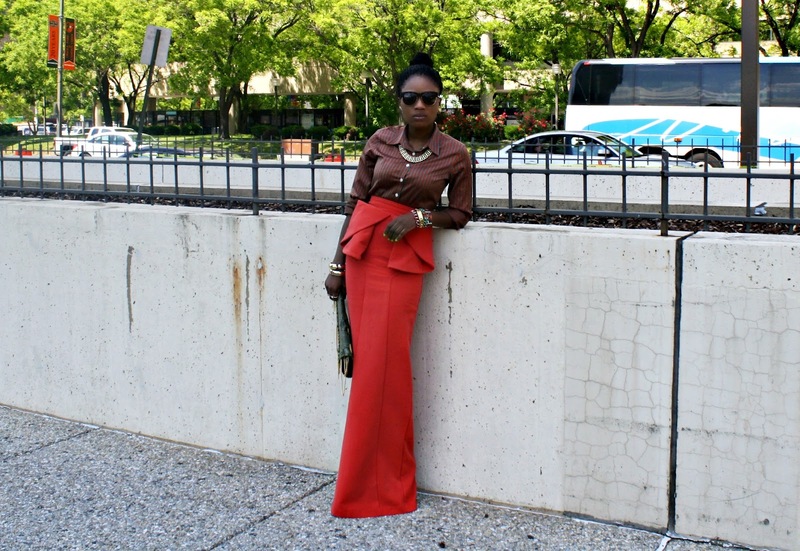 love the peplum and that maxi skirt! love the peplum trend, and both top and skirt are fabulous. also love the jeans. love the accessories on the first look and how different the two looks are! Loving both peplum looks! Those sneakers are cute too! You two always put together the most interesting shapes - I am in love with that kinda girly but really tough look with the sneaks and peplum! I love your spiky shoes! They are so cool! amazing peplum on both of you girls stunning!!! Love the peplum top and Aqua skirt! You two did a fantastic job styling peplum, I love the top as well as the skirt. Now those sneakers????? Amazing!!! And a DIY? Sweet! 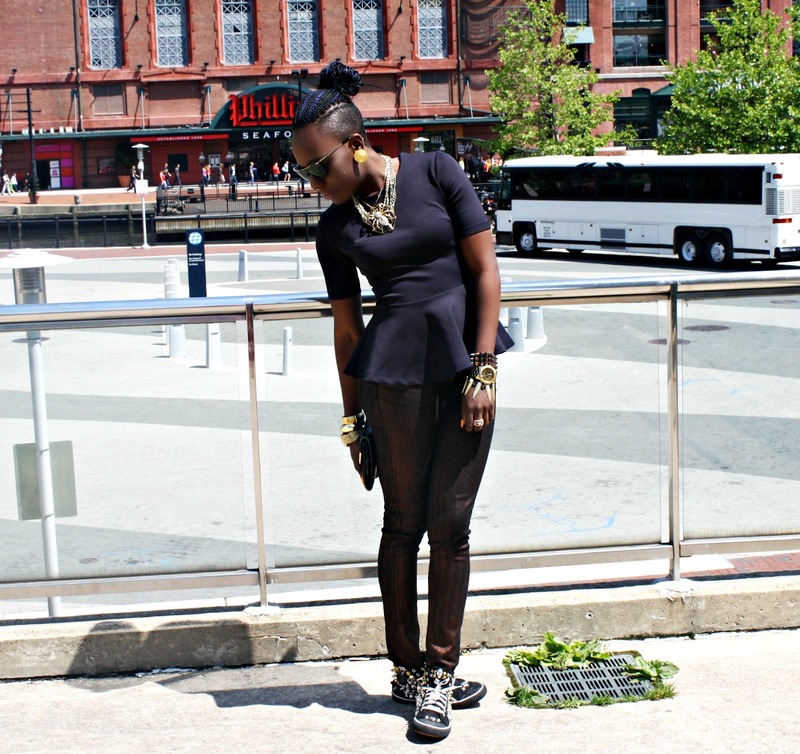 Love the peplum style on you! I really like how you edged up the look! Your peplum outfits are perfection!! Peplum look so fab on you both. I seriously need to come raid both of your closets. Freakin hot divas!!! the shoes and accessories are ALWAYS on point! loves it! I will never get tired of seeing the longer version of the peplum, very nice. Love the fact that you dressed down the peplum top! That spider necklace is hot! 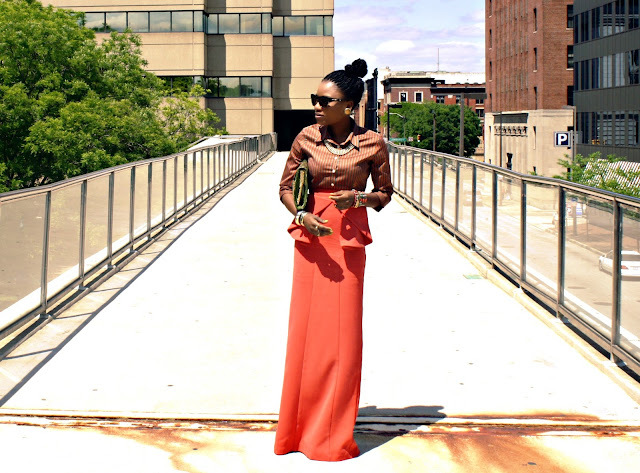 The long peplum maxi is just genius! Love these looks! They made me wanna wear my peplum top again too, so I'm probably going to tomorrow! Really love the peplum items. 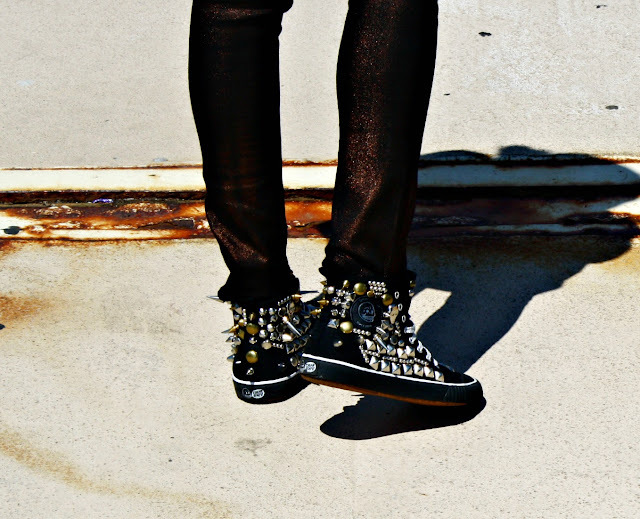 really love the studded trainers. 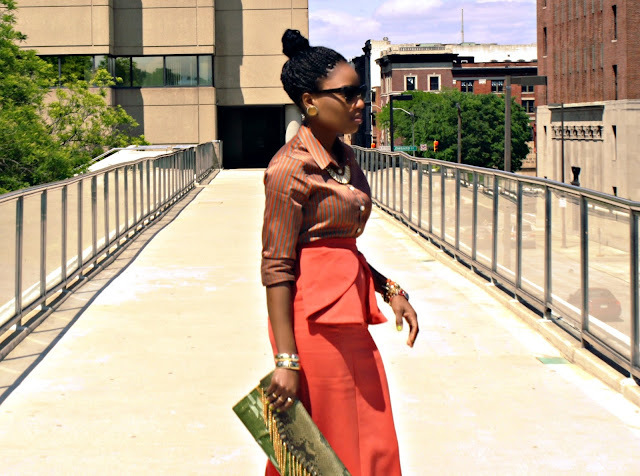 This is the most eccentric I've seen in the peplum trend so far - this skirt is so stylish and inspiring! I love your ensemble ideas, so unique. Love the black peplum paired with the spiked sneakers... and that orange skirt is gorgeous!